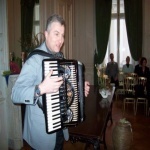 On this site you'll see my new accordions with description and price! Visit it frequently to get up-to-date information! Click here to view the list of new accordions! Have a look at my Petromaestro accordions, built by myself, and you'll never want another instrument! Click here to see Petromaestro accordions! There you can see my second-hand instruments with description and price. The page changes quite often, visit it frequently! Click here to see second-hand accordions! 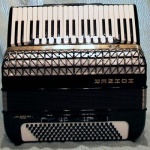 All about accordion repair and building. Ventile renewing, general repair, reed tuning, etc. Click here to see more about accordion repairing! For weddings, proms, banquettes, anniversaries. Keyboard+singing or accordion music are both available! Click here to see more about live music services! You can read a few things about me here. Accordion playing, demo, repair accordions, live music services.